Color has always been an important ingredient in the FOODalogue kitchen … lots of red, green, orange and purple on the plate because, you know, eating healthy is a colorful thing. But, this month’s challenge for the Creative Cooking Crew was to “create a complete and cohesive dish with only one color”. I chose white because I wanted the multiple challenge of preparation, presentation, photography (<it wasn’t easy) and also to prove that all white food is not bad for you. Think fish, mushrooms, cannellini beans, white asparagus, cauliflower, and wine! I love these challenges! They’re fun to do and even more fun to see what everyone else does. And, in the life of a food blogger, we get to eat our work — this one was a winner. 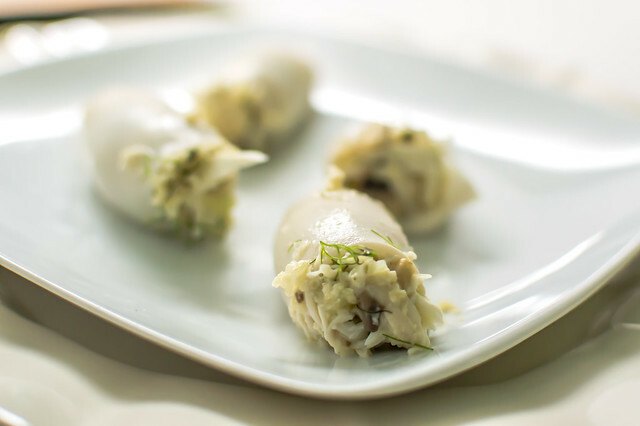 The dish has 3 components: stuffed calamari, creamy lump crab meat risotto, and fennel puree. I was surprised at how many white ingredients were just a natural addition to complement the dish: arborio rice, lump crab meat, squid, fennel bulb, onions, garlic, white wine, white mushrooms, panko, parmesan reggiano, salt, white pepper, white balsamic syrup, cream. Other Ingredients: olive oil, fennel fronds. The baby squid were poached in white wine with minced onions, fennel, white mushrooms and garlic that had been sauteed in olive oil. The stuffing is a mixture of lump crab meat, panko, the sauteed onions/fennel/mushrooms/garlic mixture, a little parmesan and a little cream to hold it together. It was quickly pan-seared before serving. To those of you who adhere to the ‘no cheese with fish’ school of thought, be you Scott Conant or the guy down the street, I respectfully disagree and say … your loss. 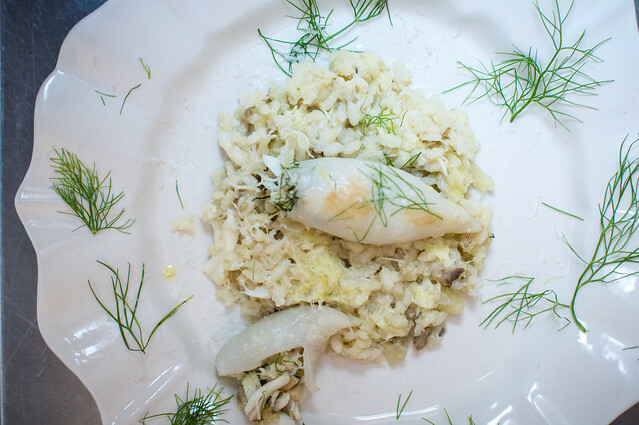 Risotto: arborio rice was added to the minced onions, fennel, garlic and mushrooms; then cooked slowly with the liquid from lump crab meat container, white wine poaching liquid from calamari, a little fennel puree and broth. A pat of butter, lump crab meat and freshly grated parmesan were added a little before serving. 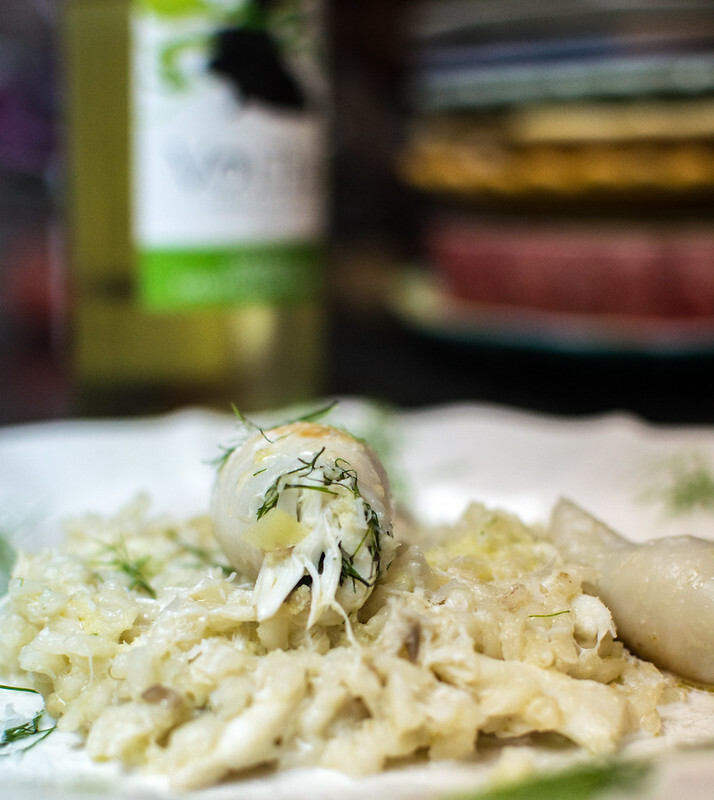 Fennel Puree: raw fennel pulsed with white balsamic syrup, onion, garlic and olive oil. This was added to the risotto liquid while cooking and drizzled over top when plated. I drank a Verdejo from Spain (my current favorite white wine) with this meal. 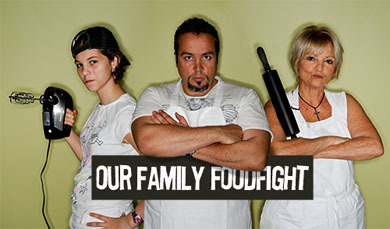 The colorful round-up will be hosted on Laz Cooks on June 28. You have outdone yourself this time Joan. There would not be a speck left after I was finished with all that mildly flavoured fennel, rice and stuffed squid. Funny how we should both post about squid. Those squid I caught all of those years ago would have been greatly improved by your preparation. There wasn’t a speck left. It was really delicious but how can you go wrong with all those good ingredients? 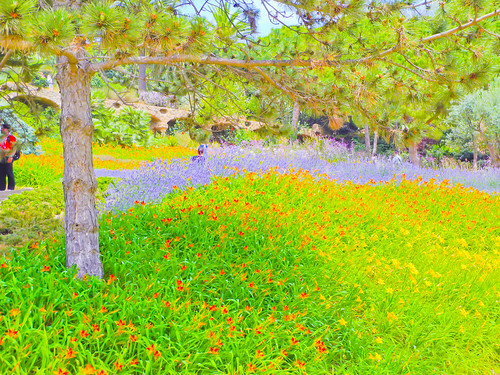 I knew you would come up with something exciting and you did…Hard color but you worked it. BRAVO! What an elegant dish! 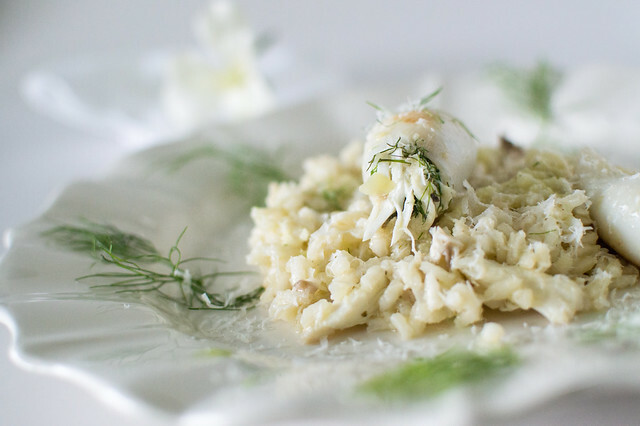 I love what you did with white, Joan…and I’ve craving a good risotto lately too! Sounds absolutely delicious Joan! The dish looks so elegant. Love that you chose white and that you garnished with a hint of green too. Super creative. I think the all white brings a touch of elegance to the place. Very classy dish Joan. This looks just great! I think you achieved your goal. Love the last photo! I also like cheese with crab! YUM! White? I admire you more and more with each post. Not only is your dish visually stunning (not easy to do with white! ), it sounds utterly delicious. In fact, I wish I were having it right now for breakfast! Thanks Greg – that’s sweet! very creative and it sounds so delicious – I wish I could try some! Thanks for your comment, I’m so happy you like my new blog :D.
I might pack my things and come for lunch to your house… you are tempting me with this delicious risotto. If rice is involved… I’m in!!! Great pictures by the way. Muchos besitos querida! Nuria recently posted..I’m finally moving from Blogger to WordPress!!! OMG your white dish looks phenomenal. I so want to try the baby squid. White is a challenge for photography and you did a fab job at it. Wow! That looks beautiful and delicious,Joan!Love the pictures and presentation! Buen trabajo! Thanks Erica. What about you? Aren’t you participating this month? Your dish is stunning Joan! I wish I was eating this for dinner – sounds so wonderfully delicious! I had crab risotto years ago and loved it. It is a luxury dish to be sure. You have done a beautiful job with your white dish and that gorgeous stuffed squid. The plate is just about perfect! 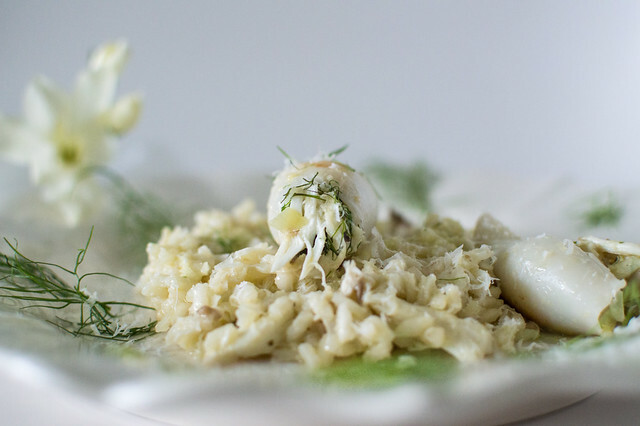 I love the idea of a fennel crab risotto, yum! 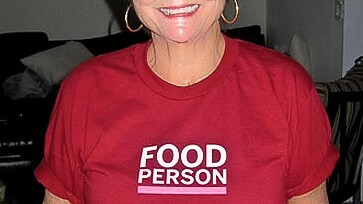 Your dish looks so elegant as always, Joan. La Diva Cucina recently posted..They call me Mellow Yellow…an Entire Dish Comprised of ONE Color!